Join KTVB's 7's Pink Peacock team and receive a team gift. 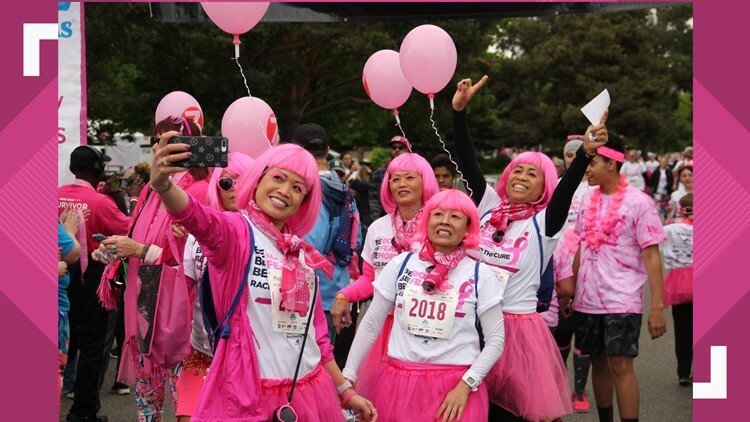 BOISE, Idaho — BOISE - The Boise Komen Race for the Cure will be held Saturday, May 11 at Albertsons Headquarters – 250 E. Parkcenter Blvd. Secure your spot early and take advantage of the Early Bird Registration price. Between February 1 and 20, you can register for the Boise Komen Race for the Cure for a discounted rate of just $20. KTVB invites you to join its 7’s Pink Peacocks team. All team members will receive a fun participation gift. To register for the 7’s Pink Peacocks team, click here.